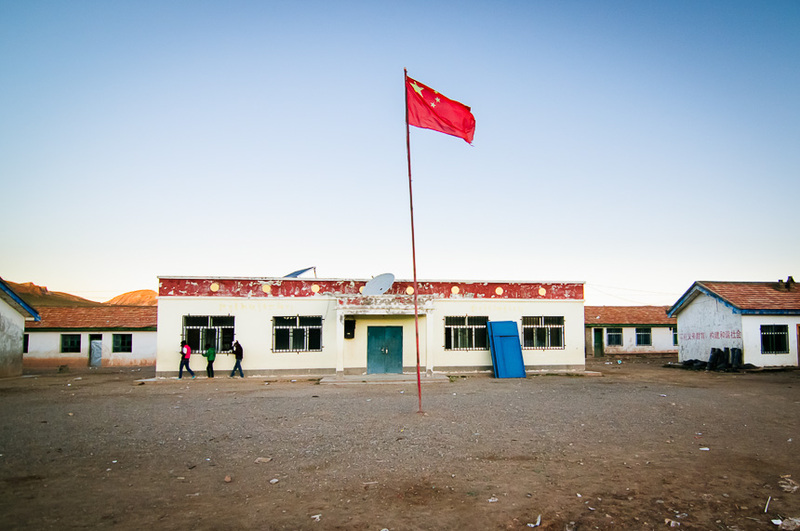 School children in rural China memorizing homework as they walk around their school before classes begin. Institutions are essentially societal standards for governing a particular realm. For example ‘banking’ is an institute in which we have put in place to govern the exchange of monetary funds. ‘Education’ is another institute that we have in place to, well, educate. But both are administered in a way that it is in line with the values and expectations of a particular society. So education may look very different from one country to another. Banking and Education are good examples of what are called ‘formal institutions’ as they have specific processes that are followed and agreed upon by those who take part, usually through some type of contract or agreement. However, a very important role is also to be played by ‘informal institutions’. Such institutions are not spelled out in laws or agreements and rather evolve/emerge from societal norms of behavior. For example, land rights or land use is an institution that has been heavily formalized in many countries, however there are many nomadic communities that have little use for a formalized contract to partition land. Rather, such communities have unspoken rules and ‘laws’ that guide how they conduct their movements, how they share grazing land, how they share water sources, etc. Granted, these informal institutions may not always work and there is sure to be conflict at some point, but we have the same conflicts with formal institutions as well. So it is important not to view formal institutions as ‘good’ and informal as ‘bad’. The institution of marriage, in the west, is very much a formal institution. However, in many cultures around the world such a formal institution does not exist. There is no paper work or lawful recognition that a couple is married, rather, if the couple lives together, shares in the managing of the home, have kids together, then they are married. There is an understanding in such a community that the couple is married, not due to a contractual agreement, but due to how they have conducted themselves. And one can propose that such an informal institution likely gives rise to a more recognized formal institution in time. This transition is of great interest as it shows that formal institutions are likely the outcome of support from successful informal institutions that have been sustained for many generations. This understanding has much to offer in terms of shaping our development approach to developing nations. Most development efforts have largely tried to mimic formal institutions from the West because they have had a successful track record in the West. Banking, the Market Economy, Land Rights, and Education are all examples of institutions that we have tried to transplant to the developing world. Sadly, there has been limited success in some of these areas. So what’s wrong? Partially, I think it has to do with a lack of recognition for how the established informal institutions play a role in guiding the actions of a society. By ignoring these values and practices that have promoted the survival of a society for many generations we prove ourselves ignorant by thinking we can find a one-solution-fits-all sort of approach. I’m not saying that Education or Banking is a bad thing; in fact they offer a great opportunity for developing nations. But in order for such formal institutions to be successful in a new context, we need to account for the underlying informal institutions already in place and adapt as necessary. And we need to be okay with the fact that the newly established formal institution may look different than the one we are used to.